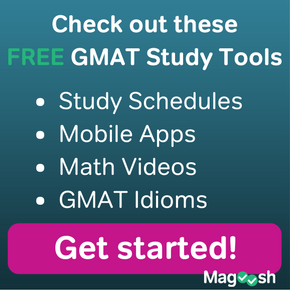 Idioms are an important topic on GMAT Sentence Corrections. With some idioms, a particular verb may demand a single preposition — for example, “able to do X” is correct, and “able for doing X” is incorrect. See our idiom ebook for more examples. That’s a great deal to know right there. To make matters worse, some words have more than one idiom, and different prepositions will be correct in different logical scenarios. One blog article already discusses the difference of “means of” vs. “means to.” Here, to start, are four questions exploring this issue. 1) Almost all motor vehicles on the road have a suspension system, that provides a smooth ride by allowing the road surface to have irregularities. 2) The disaster agency revealed to the press the power of the hurricane and the extent of its damage, and, with continuing rain preventing relief efforts, it expressed fear of the welfare of the survivors. 3) The Engineering Department, one of the newest departments in the University, has more extensive facilities than every department, due to their graduates’ demand for industry and their correspondingly higher salaries. Here is a short list of words that idiomatically take more than one prepositions. In each case, each different preposition is correct but denotes a different meaning. It’s important to keep all these idioms for the same words clear. If people are concerned, we always use the preposition “with” — “I agree with Chris“, “I agree with Aung San Suu Kyi“, “I agree with Plato“. 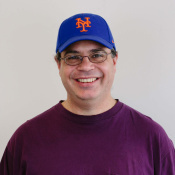 We can also use “with” to refer to the content of the agreement: “I agree with his decision“, “I agree with the results of the election.” In these cases, the content of the agreement is something I passively accept: somebody other than me determined it, and I am merely agreeing with it. The idiom “agree to” has a very particular meaning. If I “agree to do X“, then someone has asked me to do X or has placed this demand or this responsibility on me, and have accepted responsibility and intend to follow through with my actions. Suppose a friend asks me to bring cheese to a party. If I “agree to bring cheese to the party“, I am essentially making a promise that I will carry out and fulfill this action. If I “agree to a contract“, I am promising to behave in accordance with the demands of the contract. The “with” idiom is more flexible and more widely used, but the “to” idiom is sophisticated, and the GMAT likes it. By far, the more common idiom is the former. When I “allow Q to do X“, I am giving approval or permission. “The teacher allows the children to play.” “The Roman Catholic Church now allows its members to eat meat on Fridays not during Lent.” “The US Constitution allows a defendant to have an attorney.” The approval or permission may be personal, or may be expressed by something impersonal (a government, a law, etc.) This idioms is always used if a person is allowing someone to do something. The other idiom is rarer and more sophisticated. Only something impersonal (a situation, a condition, a physical law) can “allow for” something. If we say “X allows for Y“, then we are saying that X, by its very design, has a built-in accommodations that either tolerates Y or makes Y possible. “Yoga pants allow for vigorous stretches.” “The algorithm allows for irregularities in the data.” “Grand-Unified Field Theory allows for proton decay.” When we say “X allows for Y“, this construction sometimes carries the connotation that, normally or naively, we would think that Y is a problem for X or is incompatible with X, and the significance of the statement is that, no, contrary to expectations, we actually can have Y with X. This is tricky. First of all, the verb “demand” takes no preposition at all (“Riding a bike demands balance.”), although if the thing demanded is something complex, the verb “demand” will require a “that“-clause with the subjunctive. Whether the object of the verb “demand” is a single noun or a clause, in other case, that object is the thing demanded, the thing that someone wants or needs or requires. 5) The mother demanded that her children clean their rooms. 6) The general demanded that all soldiers be present during general inspections. Some demands are universal, such as “demand for oxygen to breath“. While such things are very important, they tend to make less interesting subjects, because they simply are always true. In terms of the GMAT, many interesting demands are unique, say, to particular business or particular sectors of the economy, for example, the “demand for electricity in aluminum production.” Now, suppose the sentence were about the subject “electricity“: then, somewhere later in the sentence, we could talk about “its demand in aluminum production.” The idiom “demand in Y” is really a sort of abbreviation. The thing demanded is somewhere else in the sentence, perhaps the subject, and the object of “in” simply denotes the venue or field in which the demand takes place. This is also tricky. The verb “to fear” can be used with no preposition. If I say “I fear X”, then I am saying that I am afraid of X: “She fears spiders.” If this ideas is changed to noun-form, we use the idiom “fear of“: “She has a fear of spiders.” The object of the “of” in the “fear of” construction is the thing feared, the perceived threat. The idiom “fear for” can be used with either the verb or the noun, and this has a very different meaning. In this construction, the object of the preposition “for” is something for which care is shown precisely because it is the object of a threat. If I “fear for my life“, that means I like my life, but I am worried because I am in some situation in which I believe my life is threatened. This is a very important distinction, because the different preposition gives the construction almost the opposite meaning. The person who says “I fear dogs” or “I have a fear of dogs” presumably doesn’t like dogs and is saying that he finds dogs a threat. By contrast, the person who says “I fear for dogs” or “I have a fear for dogs” is presumably someone who likes dogs and who is worried that dogs are potentially the victims of some external threat. All of these are in addition to the standard “known by”. If something is “known by X”, then X is the one who knows. That’s standard and the same form as all other passive verbs. The idiom “known to” is most useful if a person is famous (or notorious) for a particular action: “known to throw eggs at encyclopaedia salesmen”, “known to have escaped from Alcatraz”, “known to have saved 75 lives”. This may have the connotation of affirming some suspected about a person. The idiom “known for” is the most general. If we describe someone as “known for X”, then X would be the reason that person is famous or infamous: “known for his radio broadcasts”, “known for his unusual features,” “known for climbing the Seven Summits”. The object of “for” can simply be a noun or noun phrase, the reason why the person is well-known, as in the first two examples. In the last example, the object of “for” was a gerund, an action. That may raise the question: what’s the difference between second & third idioms here, the difference between (a) “known to do X”/”known to have done X”, and (b) “known for doing X”. Both are correct. 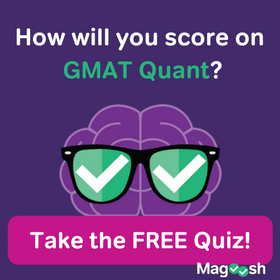 The difference in subtle implications is very slight, and not something the GMAT would expect you to know. There is something almost interchangeable about the second & third idioms here, but not so with the first. If someone has a role, say, “known as the star of that movie”, then rephrasing this with some form of the verb “to be” in order to fit it into the form of the second idiom (“known to be the star of that movie”) or the third idiom (“known for being the star of that movie”) would be awkward. The first, “for years”, denotes the duration of an activity. “He worked there for ten years.” During the ten year time, he was working. That’s very straightforward. The other idiom, “in years”, is more subtle. It denotes the length of an absence, perhaps a time of waiting, and is often used with a negative: “He hasn’t worked there in ten years” — this means that, while at one time he did work there, his work there came to an end at least ten years ago, and during this most recent span of ten years, he hasn’t worked there at all. If I say “the tallest tree for 20 years”, I am saying: this particular tree was the tallest true during a span of time that lasted 20 years. If I say “the tallest tree in 20 years”, I am implying: for the last 20 years, apparently the trees were all short, or at least not very tall, and now, this particular tree is taller than any tree had been during that entire 20-year span. If you had any insights while reading this article, you may want to give the questions at the top another look before reading the explanations below. Here’s another question on related topics. If you have any questions about what I’ve said here, let me know in the comments section at the bottom. 1) Split #1: “that” vs. “which”. The comma separating this clause from the rest of the sentence indicates that it is a non-restrictive modifier, and the GMAT always uses “which” for non-restrictive cases. Choices (A) & (B) are incorrect. Split #2: SV Agreement. The “suspension system” is singular in this sentence, so it requires the singular verb “provides”. Choices (B) & (D) are incorrect. Split #3: idiom with “allow”. The phrase “allowing the road to have irregularities” implies that, somehow, the suspension system is giving the road permission to have bumps — that’s not the intended meaning. The intended meaning is that the design of a suspension system allows for a smooth ride despite the fact that the road is bumpy. For this, we need the idiom “allow for”. Only choices (B) & (D) use this idiom correctly. 2) Split #1: “with” vs. “because”. This part of the sentence describes an action with a noun and a verb. 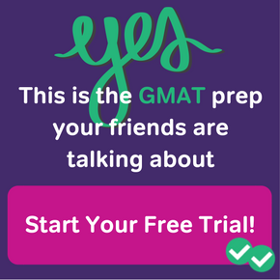 For describing a full action, the GMAT does not find acceptable the structure: “with” [noun][participial phrase]. That’s too much action to cram into a preposition phrase. If you want to talk about that much action, use a full [noun] + [verb] clause, with a subordinate modifier, such as “because”. The forms with a full clause beginning with the word “because” are correct. Choices (A) & (B) are incorrect. Split #2: pronoun agreement. The “disaster agency” may have several employees, but it’s a singular collective noun, and we need to refer to it by a singular pronoun: “it”. Choices (B) & (C) & (D) use the incorrect plural pronoun. Split #3: idiom with “fear”. The “disaster agency” most certainly does not view the ” welfare of the survivors” as a threat or something to fear. Rather, it is concerned for the survivors precisely because their “welfare” is threatened by circumstances. The idiom “fear of” is totally incorrect in this context; the correct idiom here is “fear for”. Choices (A) & (D) use the incorrect idiom. The only possible answer is (E). 3) Split #1: “every” vs. “every other”. The Engineering Department is a department, and it can’t have more extensive facilities than itself! The appropriate comparison is between this department and “every other” department. Choices (A) & (C) make this mistake. Split #2: idiom with “demand”. It’s not that the engineering graduates are demanding industry — I’m not sure what that even would mean! That’s what “demand for” incorrectly implies in this context. By contract, there is a demand for engineering graduates in industry — industry is not the thing demanded but the place in which the demand happens. For this, we need “demand in industry.” Choices (A) & (C) & (E) use the incorrect idiom, and cannot be correct. Split #3: pronoun agreement. The “Engineering Department” may have many members, both faculty and students, but it’s a singular collective noun, and we need to refer to it by a singular pronoun: “it”. Choices (D) & (E) use the incorrect plural pronoun. Split #4: the correspondence. What corresponds to what? the graduates have a higher demand in industry and this corresponds to the higher salaries they receive. Higher corresponds to higher, so we need to modify the adjective “higher” — we need the adverb to modify the adjective: “correspondingly higher”. Only choices (A) & (B) have this correct. 4) A question about the very dapper Adolphe Menjou. The sentence is in the section in which “demand” idioms are explained. It is the second sentence after the following sentence. In the 3rd practice question, does option B commit a pronoun mistake? Pronoun “their” intends to reffer to “graduates”, but since graduates is in the possessive form, the actual noun is “demand” (singular) and not “graduates” (plural). Please could you clarify this issue in the correct answer choice? Or can possessive pronouns reffer back to possessive nouns?